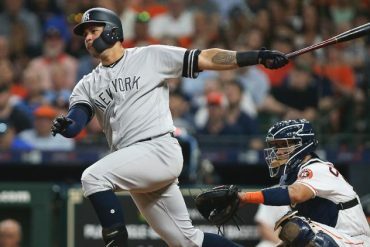 With the crazed Manny Machado sweepstakes in the rear view mirror, the Yankees are now able to narrow their trade deadline focus on starting pitching, which was and still is the team’s pronounced deficiency. 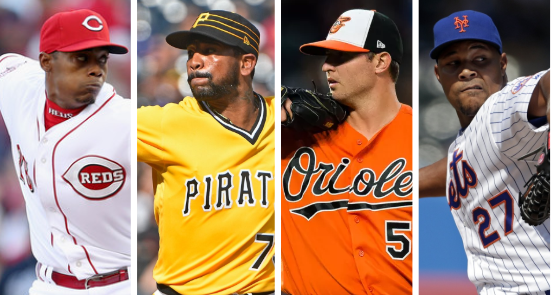 But if New York is also intent on bolstering their bullpen, there may not be much time to waste, since one of the top relievers on the market is no longer available. The Cleveland Indians announced on Thursday that they acquired All-Star left-hander Brad Hand in a deal with the San Diego Padres. The 28-year-old Hand, who appeared in his second career All-Star Game earlier this week, owns a 3.05 ERA and 24 saves in 41 games this season. So, with Hand crossed off general managers’ wish lists, a near dozen playoff contending teams will have to search elsewhere for bullpen pieces. And based on recent trade history, the odds suggest that a handful of standout deals will be made sooner rather than later. Teams are realizing that there’s no need to pounce in panic on July 31st, when pressure and chaos reach the pinnacle. As the Indians just demonstrated, there are benefits to being ahead of the curve during the deadline period. 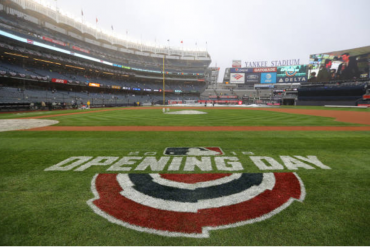 It may not look like the Yankees need further bullpen depth at a glance — the unit’s 2.69 ERA, .198 batting average against, and 433 strikeouts lead the majors. 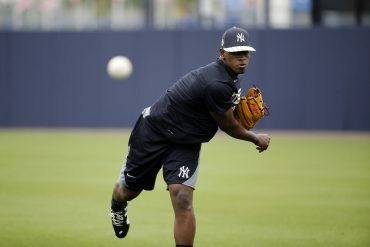 But if Brian Cashman isn’t particularly impressed with the crop of obtainable starters (Blue Jays’ J.A. Happ and Rangers’ Cole Hamels have been discussed ad nauseam), there is logic in adding to an area of strength. 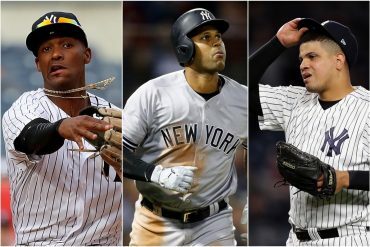 And considering that the Yankees’ farm system is chock-full of touted youngsters — some of which the team won’t be able to hang on to — Cashman could very well address both matters in the next two weeks and still remain under the $197 million luxury tax threshold. Orioles’ Zach Britton: There’s no disputing that Baltimore is in the midst of selling off their uncontrollable assets. Nothing could’ve been gained by the Orioles holding on to Machado, so, this means left-hander Zach Britton is next to go. 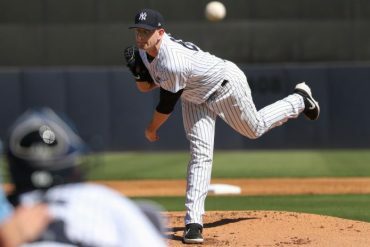 Before the 30-year-old missed three-quarters of the 2017 season due to a rupture of his right Achilles tendon, Britton was virtually unhittable in his role as closer. In 2016, he posted a stunning career-low 0.54 ERA in 67 innings and recorded a career-high 47 saves. Although Britton’s injury forced him to miss a good chunk of this season, it looks like he’s returned to old form. Since July 12, Britton is 1-0 with a 3.65 ERA and four saves in 14.2 innings (15 games). Britton is the most valuable bullpen piece on the market. The question is, what sort of package is Baltimore looking for? 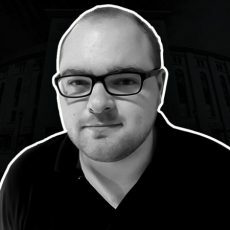 According to FanCred’s Jon Heyman, Britton’s price could be steep — especially for a division rival like the Yankees. The Los Angeles Dodgers were forced to yield several prospects for Machado, and it wouldn’t be a surprise if Baltimore demands something similar for Britton, even though he’s another two-month rental. Rangers’ Jake Diekman: Like the Orioles, Texas will soon commence their own fire sale, and one name that could be moved is 31-year-old Jake Diekman. Although his overall numbers don’t stand out (3.21 ERA, 12 ER, 41 SO, 19 BB in 33.2 IP), Diekman has performed extremely well on the road. In 19 innings away from Arlington, he’s allowed just one run and struck out 27 with a 0.79 WHIP. Diekman will be a free agent in 2019, so, another two-month rental. White Sox’s Luis Avilan: Unlike Britton and Diekman, Luis Avilan comes with an additional year of control. The White Sox’s 29-year-old has held 58 opposing lefties to a cumulative slash of .203/.263/.302 this year, which is an encouraging sign. Overall, Avilan has struck out 30 and allowed 12 runs while owning a 3.95 ERA in 27.1 innings. Chicago is still in rebuild-stage, so Avilan is another low-risk option. Pirates’ Felipe Vazquez: Although Pittsburgh hasn’t placed Felipe Vazquez on the trading block just yet, the Padres’ return for Hand could convince the Pirates to make a move of their own. With that in mind, Vazquez is a perfect trade chip. Never heard of him? Two summers ago, the Pirates acquired Vazquez and another pitcher from the Washington Nationals in exchange for reliever Mark Melancon. At the time, Vazquez was known as Felipe Rivero, but this season, he switched back to his birth name. To his surprise, that change has brought good luck. Vazquez is a hard-throwing southpaw — his fastball reaches triple-digits — who comes with control and a high ceiling, like Hand. The 27-year-old Venezuelan is under team control through 2023. Vazquez made this year’s All-Star Game with a 3.05 ERA and 57 strikeouts in 41.1 innings (14 earned runs). 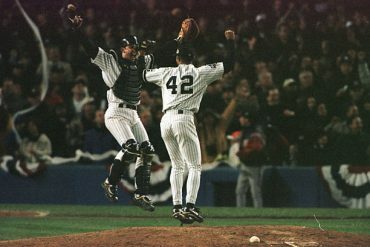 During the Midsummer Classic, he pitched a shutout inning. Vazquez’s resurgence makes him one intriguing trade candidate, if the Pirates choose to place him on the block. Mets’ Jeurys Familia: Although it’s always difficult to envision the Mets and Yankees doing business, there wouldn’t be any mentioning of Jacob deGrom or Noah Syndergaard in this conversation. 28-year-old Jeurys Familia is another great rental option for contending teams, even though his last few seasons have been Jekyll & Hyde. In 2016, Familia was a lights-out All-Star, as he recorded a whopping 51 saves and posted a 2.55 ERA in 77.2 innings. However, 2017 was a nightmare for him, as he missed several months due to a blood clot in his right shoulder. This year, Familia has pitched well for a Mets team that struggles to score runs, and although he hasn’t reached peak performance, he still throws hard. That, along with some postseason experience, boosts his value as an established reliever. Familia is making $7.9 million in 2018. Reds’ Raisel Iglesias: It didn’t take too long for the Reds to find Aroldis Chapman’s replacement. Over the last three seasons, Raisel Iglesias has been quite successful, and to the Yankees’ delight, he’s another reliever with strikeout stuff. Since 2016, he’s accumulated 221 strikeouts in 196.1 innings and posted a 2.48 ERA. Iglesias is a 28-year-old with control (arbitration eligible through 2021) and his mid-to-upper 90s fastball makes him an intriguing option. Twins’ Fernando Rodney (RHP), Zach Duke (LHP): The Twins have a pair of aged veterans available, and 41-year-old journeyman Fernando Rodney is one of them. Of the nine teams he’s played for, he’s recorded saves for eight of them. This year as Minnesota’s closer (21 saves), Rodney owns a 3.12 ERA and 10.1 K/9 in 34.1 innings. Rodney has managed to stay healthy and reliable, which is a plus. His contract also comes with a club option for 2019, so he’s not quite a rental piece. As for Zach Duke, the 35-year-old lefty has posted strong numbers against lefties (.226/.276/.291 slash in 55 at-bats). He also has a ground ball rate of 59.4%. Like Rodney, Duke’s contract includes some appearance-based incentives. White Sox’s Joakim Soria (RHP): Another White Sox reliever, 34-year-old veteran Joakim Soria has posted his lowest ERA (2.75) since 2015. His 11.3 K/9 and 2.3 BB/9 makes him a decent trade target. Soria is earning $9 million this year and has a $10 million mutual option for 2019.